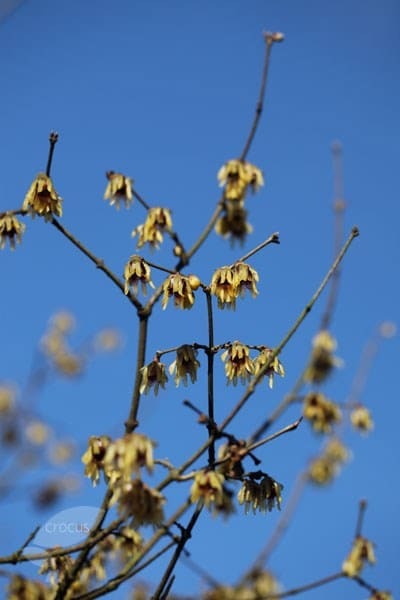 Small, sweetly scented, sulphur-yellow flowers, stained purple inside appear on bare branches throughout the winter months. This vigorous shrub will ususally take a few years to start to flower, but they are well worth the wait and they will make a lovely specimen plant for a sunny, well-drained mixed or winter border. 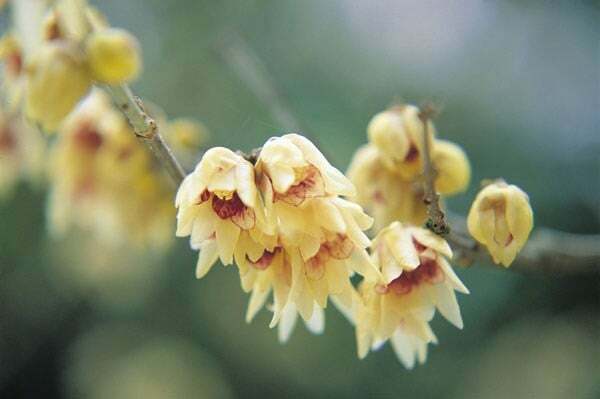 Try to plant it close to a house entrance or path where its scent can be appreciated. Highly prized by floral arrangers, a stem of these unusual, bowl-shaped blooms makes a wonderfully fragrant indoor display. Garden care: Minimal pruning is required. Remove crossing, dead or diseased branches in late spring and apply a generous 5-7cm (2-3in) mulch of well-rotted garden compost or manure around the base of the plant. Splendid plant of good size. I am looking forward to seeing it develop over the years. Two years now, and no noticeable progress. 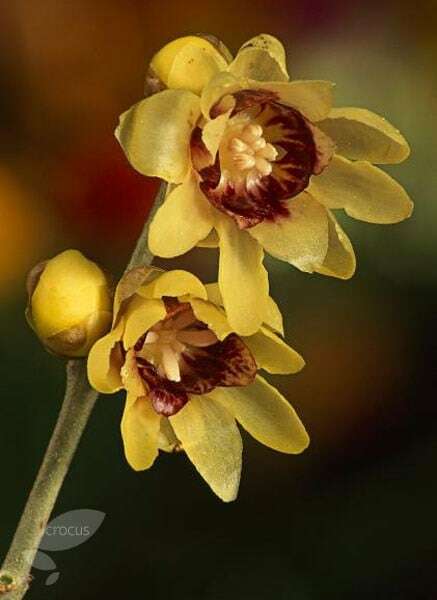 I have read that Wintersweet can take many years, so I'm not sure it was the best choice for a small garden. Perhaps it will be worth it in the end. Is it normal for the Wintersweet to arrive (February) as just a bunch of bare twigs? Will I need to wait until net winter before it shows any signs of life?